- Canadian rises faster than expected in Feb, challenging BoC. - But retail sales decline on lower car sales, souring GDP outlook. - The Canadian Dollar whip-saws before eventually heading lower. The Canadian Dollar ceded ground to rivals Friday after official figures painted a bleak picture of Canada's economy at the beginning of the New Year, vindicating the Bank of Canada (BoC) for having stepped back from an earlier pledge to lift interest rates aggressively in 2019. Inflation rose by 0.7% when prices are compared to the previous month, which was ahead of the consensus for a reading of 0.3% and took the annualised consumer price index up to 1.5%, from 1.4% previously. Core inflation, which is seen as a better measure of domestic price pressures because it excludes energy items from the goods basket, rose by 1.5% in February. That's unchanged from January's pace of core inflation. Meanwhile, retail sales slumped by an unexpected -0.3% during the month of January, Statistics Canada said Friday. That extends a -0.1% fall from the month before, although analysts had looked for a 0.4% gain in the New Year. “After a weak December, there was at least some hope for January retailing in Canada, but those hopes didn't pan out in the data today," says Avery Shenfield, chief economist at CIBC Capital Markets. "Overall, the weaker retail figure is a bit more dovish than any hawkish tilt from the headline CPI." After digging into the data, Shenfield discovers that the main drag on retail spending during January was a slowdown in car sales. He says when those are exluded from the numbers, retail sales actually rose by 0.1% in the same period. However, markets had been looking for 0.2% sales growth when cars were excluded from the numbers. Shenfeld dismissed the higher CPI figure as being the result of seasonal variations. Inflation remains in line with its long-term average of 1.5%. 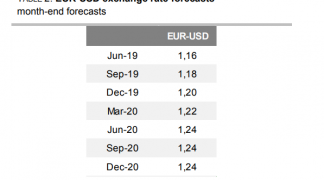 The Pound-to-Canadian-Dollar rate was 0.58% higher at 1.7658 following the release and has now risen 1.44% this year, while the USD/CAD rate was 0.22% higher at 1.3398. 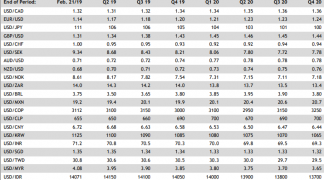 GDP growth slowed sharply during the final quarter of 2018 and oil prices have been highly volatile in recent months, falling by 30% in the last three months of 2018 before rising 20% during the opening quarter of this year. Oil-based products are Canada's largest export. This, and some international factors, led the Bank of Canada to u-turn on earlier interest rate guidance back in January. The BoC told markets that it will be much more slow to raise rates this year than it had previously suggested. In March the BoC qualified that new message when it said; "the outlook continues to warrant a policy interest rate that is below its neutral range". 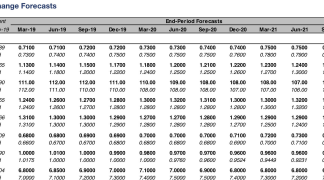 Previously, as recently as October, the BoC said rates would have to go all the way up to the so-called neutral level, which is estimated to be between 2.5% and 3.5%. 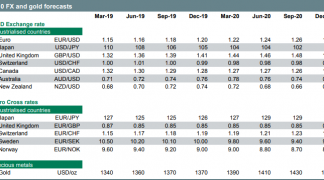 But the comments in March led markets to perceive the BoC could be dropping its bias toward lifting interest rates and shifting into neutral mode. Interest rate decisions are normally only made in response to changes in the inflation outlook, with rising or above-target inflation normally enough to prompt rate hikes. However, inflation is sensitive to many things including the rate of economic growth. Unemployment saw a strong increase in January that was sustained in February, with the jobless number having risen from 5.6% to 5.8%. Changes in participation artificially inflated the number of individuals classed as unemployed in January but a subsequent reversal still left the jobless rate at 5.8%.